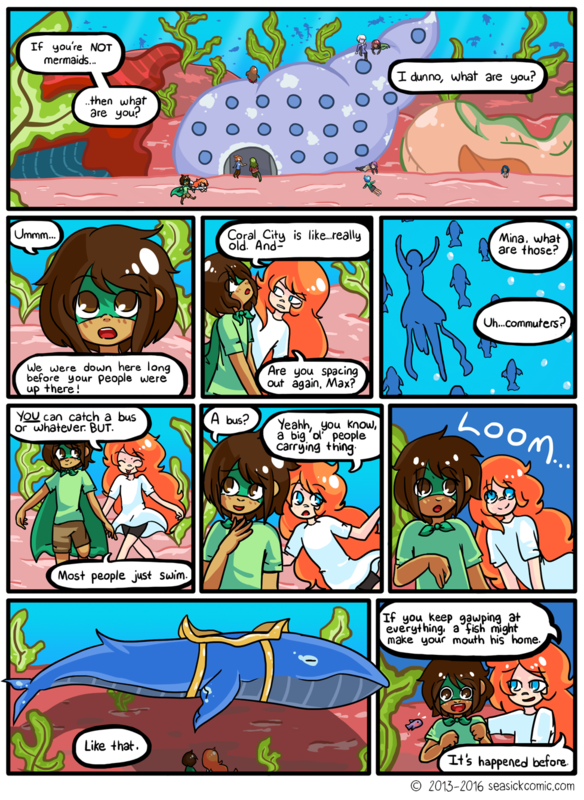 chapter-one-page-thirty-one – Seasick – The Underwater Adventure Comic. Updates Fridays! Whale bus! Been waiting to draw that for a while now. See you next page!